Up until a few days ago I had never actually met another CML patient face to face. It was through a summit, put on by Novartis that allowed me this opportunity. Novartis, the pharmaceutical company that manufactures Gleevec and Tasigna brought a roomful of CML patients and caregivers together to brainstorm; we talked about how CML has changed our lives, due to a drug (or many drugs) that now offer us a future, and how that drug manufacturer can better assist CML patients. As we all know, our first and foremost source of information should come from our oncologist, but as we also all know, our oncologist does not always fill in, all of the gaps. Often we are left to our own devices and rely on information found on the internet, as well as other CML patients for guidance and advice. It seems to be Novartis’s goal to create information for CML patients that is accurate and current, and will help to fill this void. They had many different thoughts and ideas; some good, some not so good; hopefully with the input of actual patients, they will be able to develop accurate and helpful material that will take some of the guess work out of living with chronic myelogenous leukemia. I am grateful to Novartis for including me in their summit and grateful for the extra day that my husband allowed us to have, so that we could go into the city; my goals were to eat a piece of pizza, a cannoli and take a carriage ride around Central Park! Check, check, check! I am also grateful to have met so many wonderful CML peeps, and their caregivers! It was truly a pleasure! I will share more information as my brain and body recuperate! It was a very long four days ending with an even longer travel day; we had delays all across the country and then arrived at the airport at 1:30 am, Boise time, to a dead battery! Traveling with CML is EXHAUSTING! Self-Advocacy is Not Easy; But Oh, So Necessary! CML is Like a Box of Chocolates! 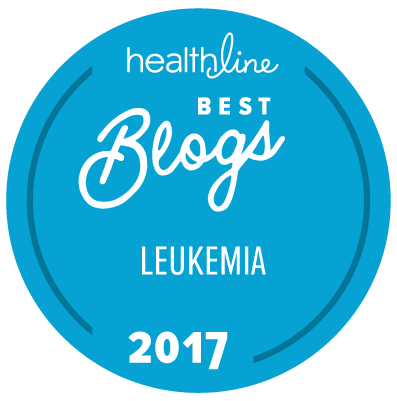 As a Person Living with CML; What DO I Want? The Leukemia Slayer; One Awesome Kid! CML Hands; What the Heck?